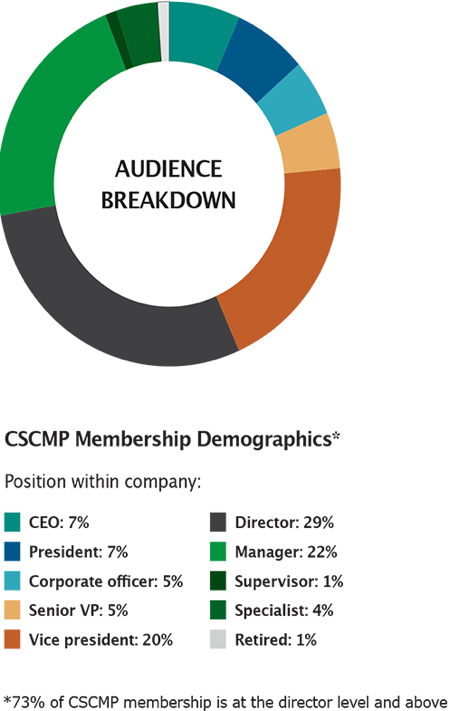 What makes CSCMP’s Supply Chain Quarterly stand out from the rest of the pack? More than two-thirds of our readers will spend more than $1.75 million on transportation services. As our demographic breakdown shows, there is simply no audience in the supply chain industry as powerful as the members of the Council of Supply Chain Management Professionals, and there is no other media brand that guarantees your marketing message will reach this entire target audience.